It’s no secret in the digital marketing scene that WE all wish for more blog traffic. However, as you probably already, that goal doesn’t come easy or cheap. Aside from optimizing your website for search engines and getting some love from earned or bought media, you also need to come up with creative ways to attract your social followers (and their followers) to your blog. One way that you can get more people to read your blog is to make it easier for people to share your content. With over 3 billion social media users in the world, you can’t deny the impact of social media on website traffic. In this post, you’ll learn the different social media sharing tools you can use to increase your social shares and boost your traffic. Looking for sharing buttons that pop out on screen? This social sharing plugin doesn’t just give you gorgeous share buttons that you can customize to fit your website’s overall look, you can also customize how visitors share your content. Unlike other social sharing plugins that cause websites to lag, Social Warfare takes load time seriously. It’s lightweight and works lightning fast so you’ll never have to worry about losing readers to a slow website. But the thing that makes Social Warfare truly unique is its Share Recovery feature. You’ll never lose your social share counts even if you change your domain name or move to SSL. It may seem counterintuitive, but locking content is one of the most creative ways you can generate traction for your website. While there are lots content-locking plugin out there, Social Locker is arguably the most polished out of the bunch and looks amazing on just about any website. 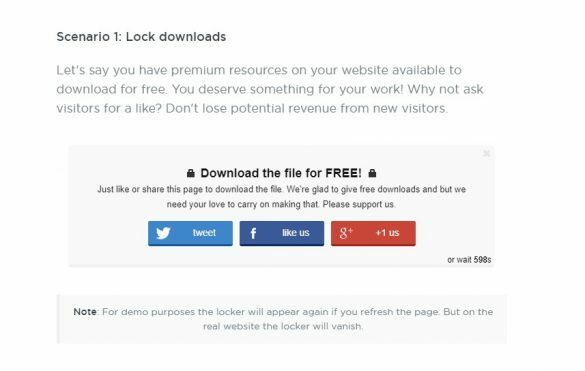 This WordPress plugin locks your premium content and asks your readers to like, share, tweet, or +1 if they want to access it. Not only is it an effective way to incentivize social shares, but it can also help you build a loyal fan base for your blog. Moreover, the more shares your content gets, the better your ranking will be in SERPs! If you’re looking for a quick and easy way to share your blog content on social media, MissingLettr will help create year’s worth of social media content from your blog post! The tool will take care of generating the messages and images that you can edit before publishing. It cuts the time you spend on coming up with posts on your Twitter, Facebook, LinkedIn, and Google+. 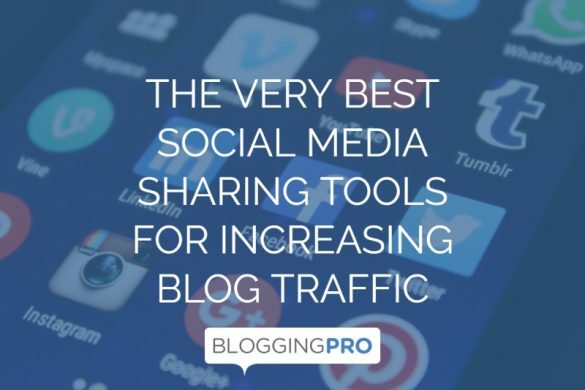 Therefore, not only will the tool helps you speed up your social media workflow but it will also maximize your blog content’s ROI, allowing you to enjoy the best of both worlds! MissingLettr can also help you repurpose your blog content for Medium, giving you a whole new platform to share your knowledge. To learn more about how MissingLettr works, check out my review about it. With social media platforms constantly changing their algorithms, getting your content in front of your target audience has become quite the challenge. According to this article, only 2% of your followers will actually see your post. This is why you need to to be smarter at promoting your content to people who will share them with their own followers. On that note, QuuuPromote is a service that helps you get your high-quality content shared by the best people. The platform connects your content with influencers in your niche who will share your post on their social media platforms. But before your post gets shared, QuuuPromote will review it for quality assurance. This ensures that your content is of high-quality and that users will get to share the best content with their followers. Therefore, before you submit your post to QuuuPromote, make sure that your post is well-written and will leave your readers wanting for more! ViralContentBee uses the crowd-sourcing model to get people to like and tweet content that you publish on your blog. The great thing about ViralContentBee is it banks on reciprocity in getting more shares to your blog content. The more content from other influencers you share in the platform, the more points you get. You can then use the points to create a project for your post. The influencers will share your post until your project runs out of points. To get more points, you need to share more posts. You can use the new points to add to your existing project or create a new one. As long as you have highly-engaging content, the influencers at ViralContentBee will be more than happy to share it with their own followers. If you want your social media strategy to work for you (and not the way around! ), make sure to use the tools above in the best possible way. If you don’t have time to manage them, then you must hire the right people for the job. In my personal experience, the folks over at Trafficora are an innovative bunch who can deliver long-term results to help you stay ahead of your competition. Ultimately, the tools above should give you a head start on getting more social shares that your blog content deserves.